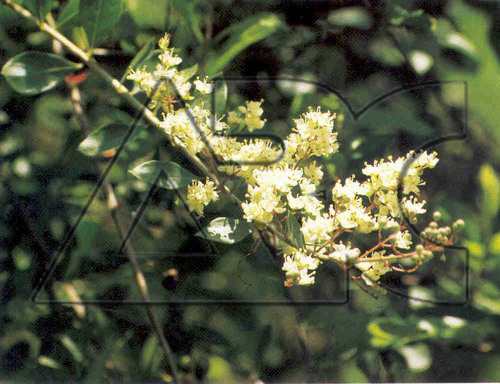 Often spiny, large shrub, or sometimes small tree, with an open habit. Elliptic to narrowly obovate or broadly lance-shaped, slender pointed, mid to dark green leaves are 2-5cm long. Many tiny, fragrant flowers, with 4 crumpled, clawed, broadly ovate or spoon-shaped, white, pink or cinnabar red petals, are borne in pyramidal panicles mainly in summer.